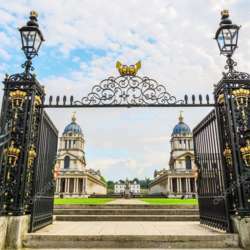 Greenwich is more than just a district in southeast London, it’s a UNESCO World Heritage Site, with renowned architecture and many famous museums and buildings, which collectively have served as symbols of British cultural and naval power for over Protected content . It was the birthplace of Henry the VIII and was a home and playground for generations of English royalty. First we shall join a 45 minutes guided tour and explore the beautiful riverside masterpiece Protected content Then we shall visit the Queen's House, which is England’s first classical building and it was designed by Indigo Jones. If the weather is fine, we can walk through Greenwich Park, which is wonderful and we can admire the Deer park. National Maritime Museum and the Astronomy centre can also be visited free of charge - this is optional. Those who would like to walk under the Thames, here you can go via the Greenwich Foot Tunnel. It does not take too long. In case very rainy weather the program will be cancelled/postponed.